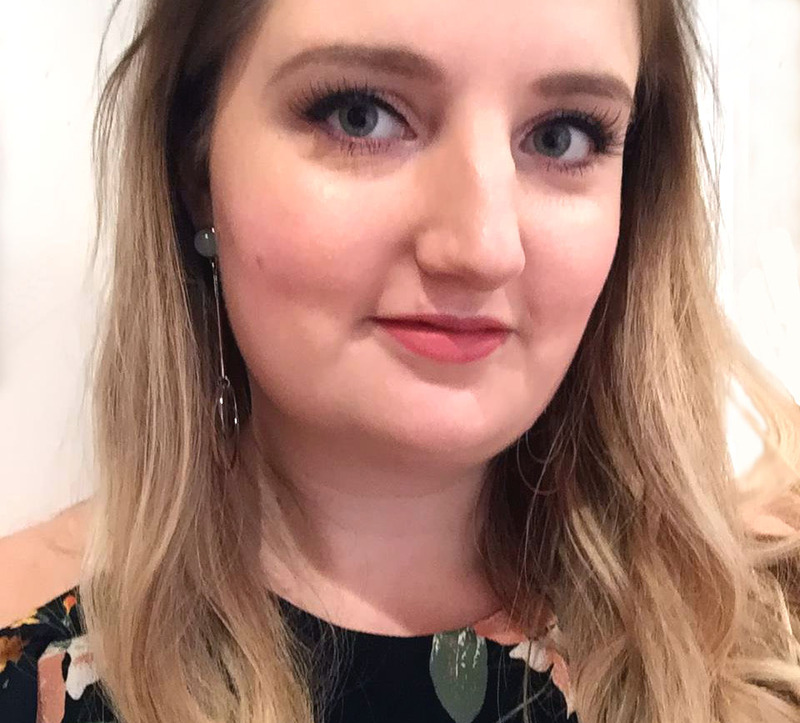 When I think of Wagamama I automatically just think of noodles, so I was pretty excited to be invited along to the Manchester Spinningfields restaurant this lunchtime to sample some of their brand new menu items. I decided I’d branch out (beyond noodles) into their new contemporary pan-Asian mains and starters and I was also very happy to be able to choose some fairly healthy options, which is great! (By the way, one thing I love about their online menu is that it includes nutritional information for all their dishes). First up I ordered the Hirata steamed bun with korean barbecue beef, which was quite an unusual-sounding starter. 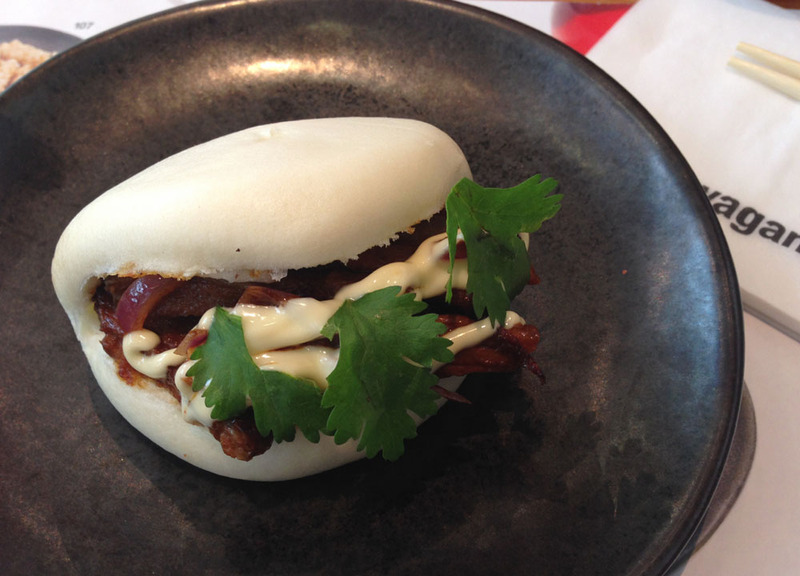 The spicy barbequed beef is served with red onion and Japanese mayo in a very soft, fluffy Asian bun – I was expecting something heavy and bread-like but actually it was very light and puffy. I thought it was very tasty little starter, which I don’t suppose I would normally have picked but was very glad I did! 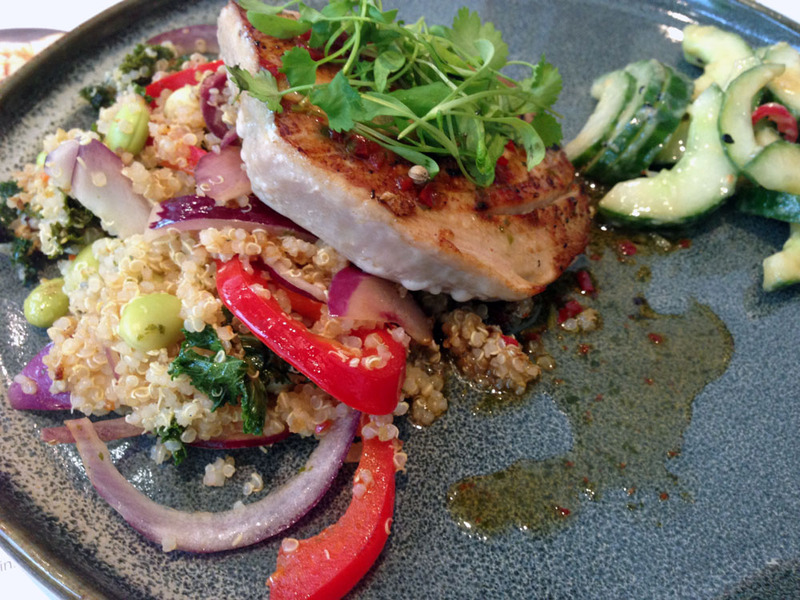 Then for my main course I decided to go for the healthiest sounding option – Grilled tuna with quinoa. This was a very tasty seared tuna steak on a bed of warm quinoa and veggies (kale, red peppers, red onion and beans). It came served with a cucumber and sesame seed salad, and I could really taste the sesame flavour, which is one of my favourites in this style of cooking. Overall I thought it was a delicious main course, very colourful and full of different Asian flavours. 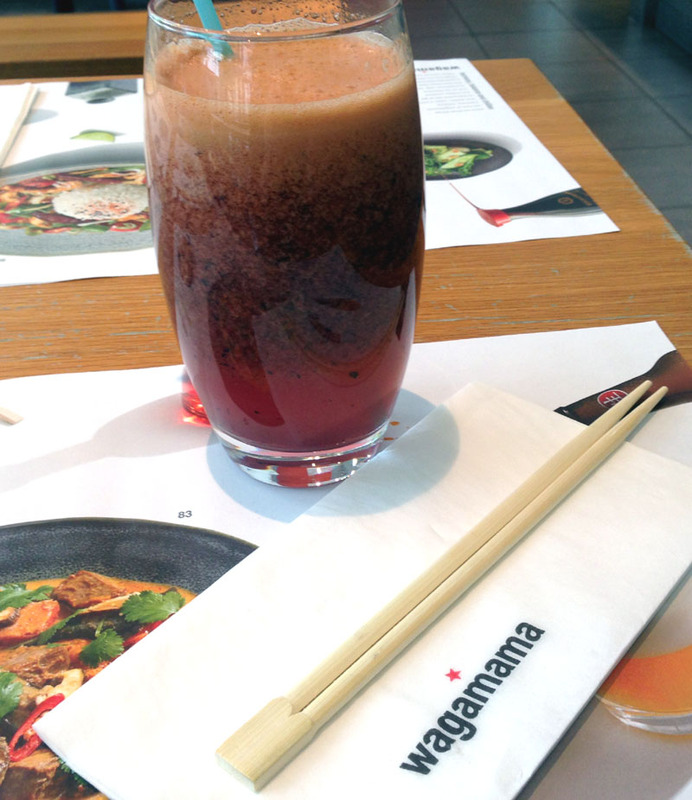 I also decided to try one of Wagamama’s fresh signature juices – the Blueberry Spice, which contains blueberry, apple, carrot and a hint of ginger. This was a lovely fruity and refreshing drink with a spicy kick from the ginger (I love fresh ginger so much!). I really enjoyed my healthy pan-Asian lunch and I reckon all the new menu options look great! It’s definitely opened my eyes to the potential of Wagamama! ahhh I love Wagamamas! Made me super hungry! WHAT! My fella is going to freak out when he sees this. We’re massive wags fans and those steamed buns look insane. Was there any new vegetarian things? Yeah there was a veggie version of the steamed bun and some other dishes too I think!